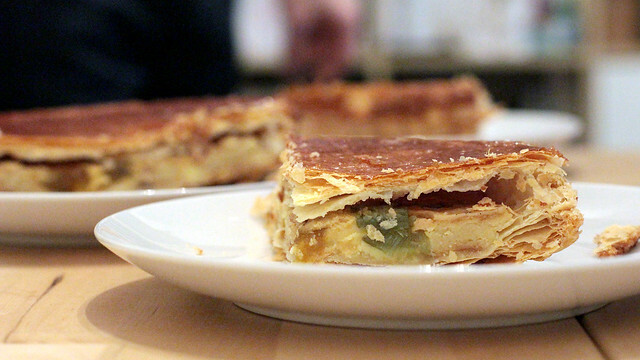 We started the first weekend with more traditional ones, filled with frangipane. 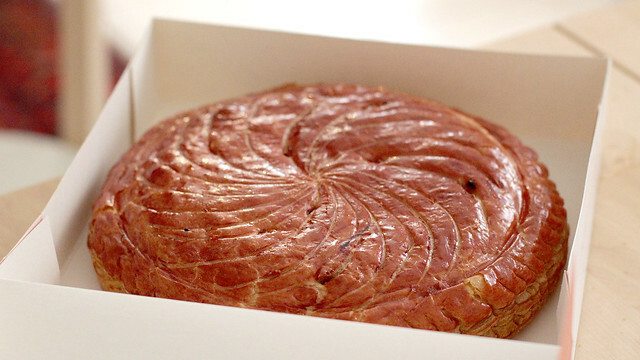 The inaugural galette des rois came from our local boulangerie, which actually does very good galette des rois, generously filled with not just one, but two, fève! 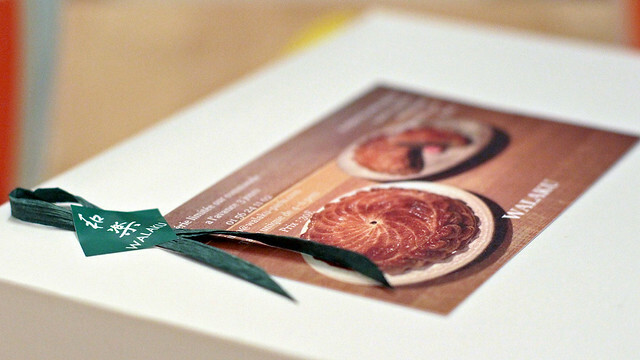 The traditional version from Lenôtre was very good too, with creamy frangipane and flaky pastry. 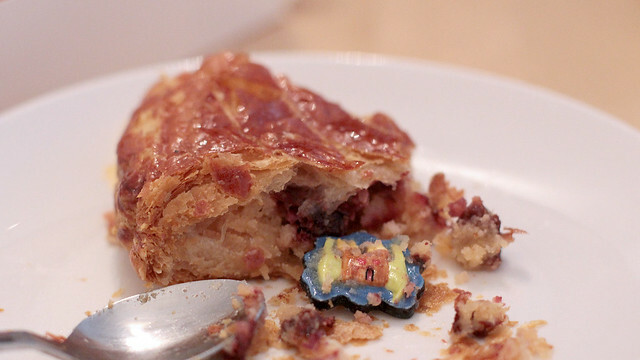 By the time we got to Des gateaux et du pain, we were eager to try something different, and they sent us away with an upside down galette des rois filled with candied fruits. It was interesting but I can’t say I’m a big fan of it, although F ranked it one of his favourites. The following weekend was our quiet weekend in. 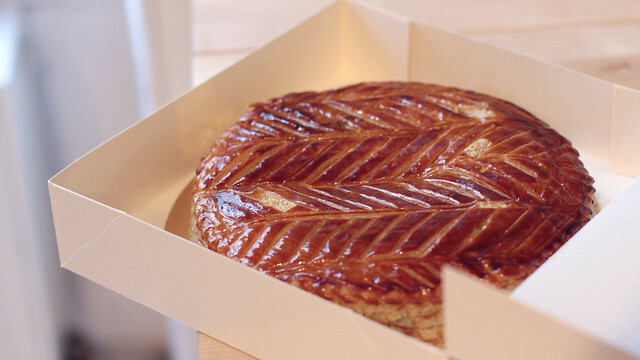 I found myself searching for a small, little known Japanese pâtisserie near Duroc on Saturday to collect a galette des rois that I’ve ordered ahead. 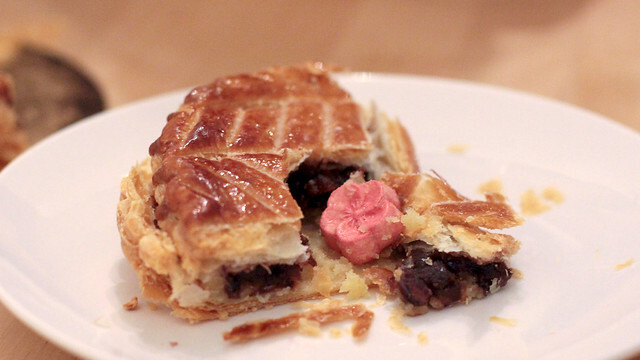 Available only over two weekends, they created one filled with azuki (red bean) which I absolutely adored, and within, a fève of sakura tucked away from sight. 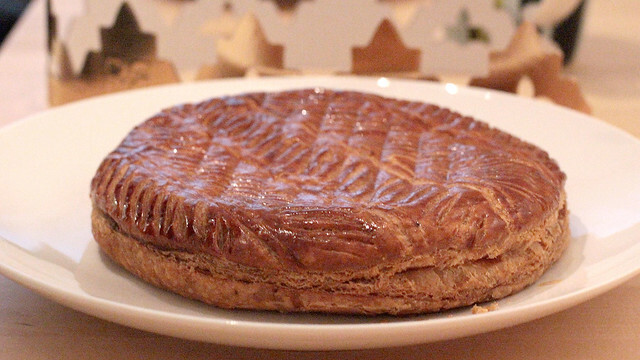 This weekend was the last big splurge on galettes des rois for 2015. We invited a few friends over for a “tasting + game” afternoon. 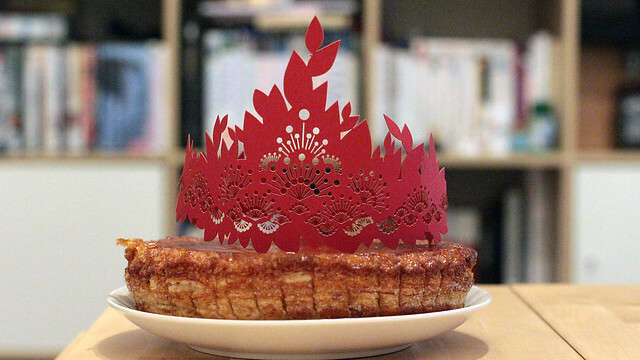 In between rounds of DiXit, I served slices of atypical versions of the king’s cake. 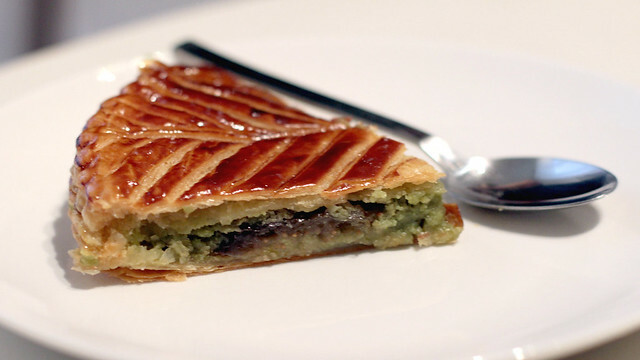 The favourite of the group was a macha and fig galette from Sadaharu Aoki, which my friend C kindly ordered and collected since there is a branch of Aoki near her place. The same morning, I collected two others from major hotels in the city. 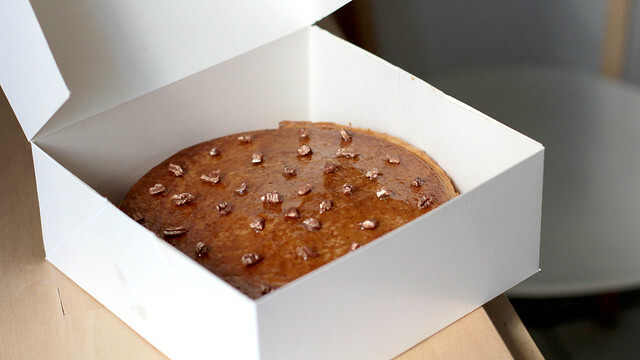 At Prince de Galles, the frangipane of almond had been replaced with pecan. 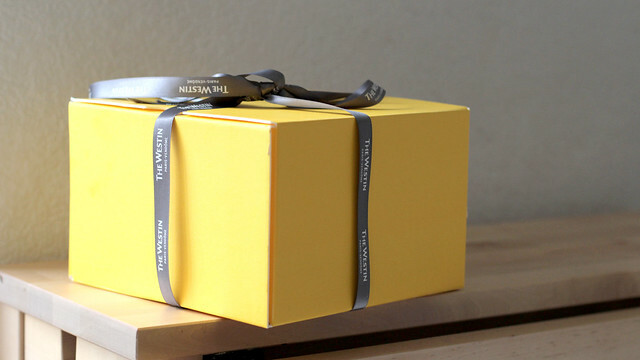 It was also beautifully decorated with candied pecans, and continuing the theme, the fève was a pecan half too (numbered 1-100, and F won the one with 88 on it). Taste-wise, we had expected more than the muted version that we’ve got. 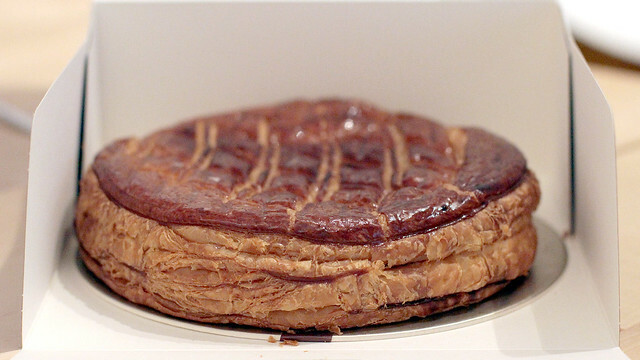 The pastry was flaky, the texture the right creaminess, but it was not as “pecan-y” as we thought it’d be. Last but not least was the gorgeously packed square galette des rois from Westin Vendôme, with additional crowning glory in the form of confit mandarin filled with mandarin sorbet. 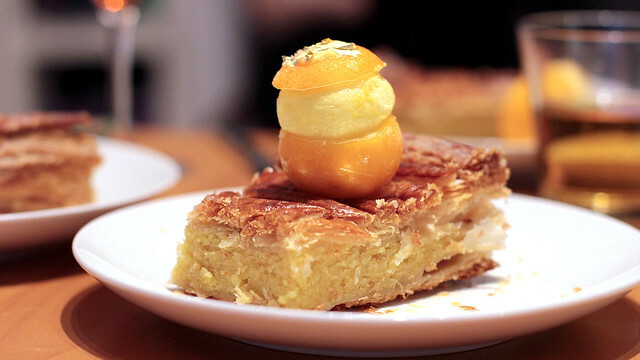 The pastry was light and crumbly, the frangipane filling of almond and mandarin subtle; all in all, far too easy to eat, and well complemented with the mandarin sorbet. 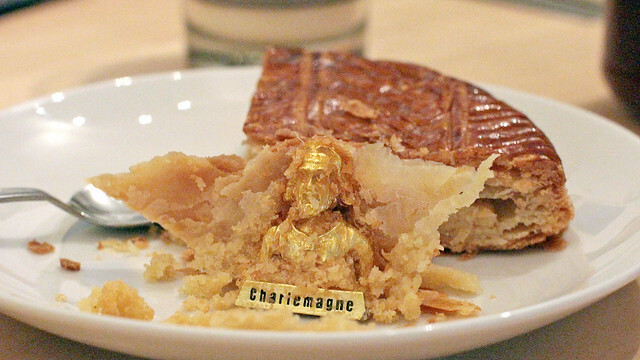 We were all puzzled though – there was no fève in the galette des rois? How scandalous! 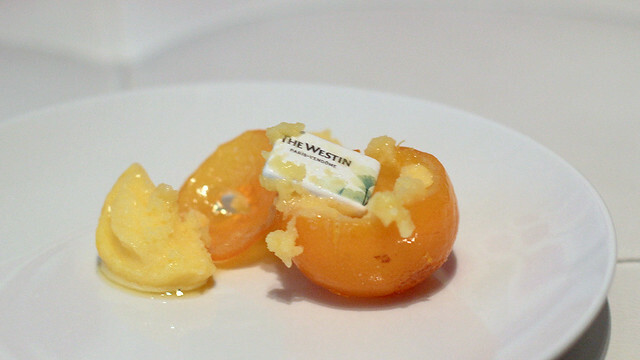 This morning, I found the fève hidden inside the last confit mandarin sorbet that we didn’t eat yesterday. What are the chances? There were six of us at our little gathering yesterday, so three of the confit mandarin sorbet were duly slices so we all got a half to accompany our galette. We thought they had somehow left out the fève, and instead it was actually playing a hide-and-seek. I have had 3 galettes so far this year, one of which was semi-homemade (homemade frangipane with good-quality shop bought puff pastry. I’ll have 2 next week – the “voeux” for my son’s crèche and a committee meeting. 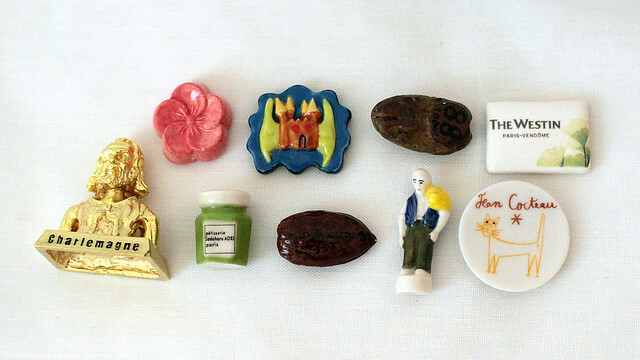 I’ll make one more for the arrival of my sister – she loves the tradition! I was debating if next year I should look into making different galettes every weekend myself. F laughed; he couldn’t believe I am already thinking about and planning next year’s stash of galettes! You would have enjoyed this season’s offering then. There were lots of lemon-based galette, but strangely they didn’t appeal as much to me, so I didn’t get them.